Art is often overlooked as a homeschool subject. Sometimes, parents are simply intimidated by the idea of teaching art. However, the arts are so important to a child's education, so it's important to make it a part of our children's lives. 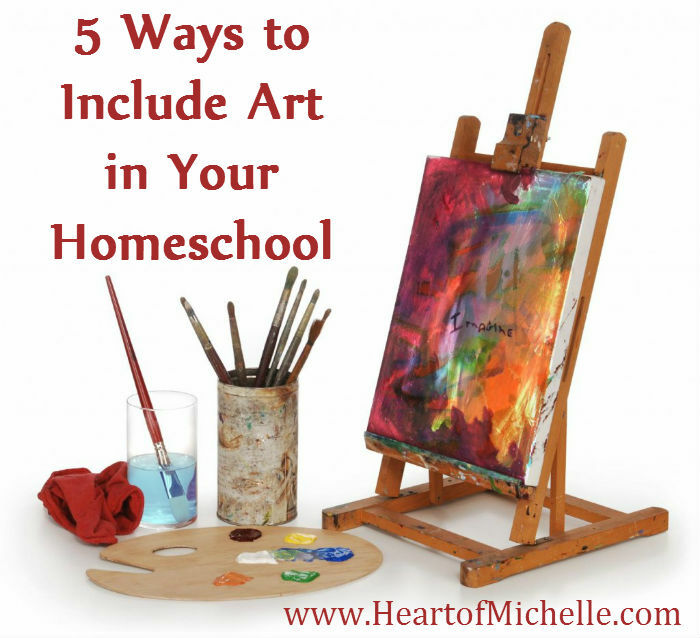 Adding art to your homeschool curriculum needn't be intimidating. In this 5-day series, I'm hoping to help you easily add art to your homeschool. I hope you'll join me for all 5 days. Be sure to subscribe here so you don't miss any posts. This series is a part of iHomeschool Network's Winter Hopscotch 2015 where you'll find more helpful homeschool posts. Thanks for linking up at the Thoughtful Spot Weekly Blog Hop! We hope you join us again next week! Thanks for linking up to the Homeschool Blog & Tell!